Johnson Mediation has gained a reputation of expertise and professionalism in two essential aspects of Early Neutral Evaluations, specifically those pertaining to the Financial and the Social aspects of their divorce. Our mediation services are comprehensive and on the leading edge of mediation practice, especially as they relate to the complex aspects of divorce cases. 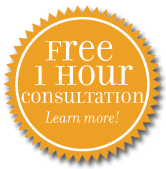 Johnson Mediation is a premier Minnesota divorce and parenting support mediation service. Our team can help you, if you are going through a divorce, with Financial Early Neutral Evaluation and Social Early Neutral Evaluations. What Is a Social Early Neutral Evaluation? The Social Early Neutral Evaluation process is characterized by its short-term, confidential nature. It is often completed in about one month and is focused on evaluating the capacity of the divorcing parties to resolve disputes related to child custody and parenting time, which is sometimes called ‘visitation.’ When child custody and parenting time issues are present between divorcing parents, it may be necessary for a dispute resolution process, known as Social Early Neutral Evaluation, to be ordered by the court. An evaluation team usually comprised of a male and a female from Family Court Services offers evaluations of the outstanding issues between the divorcing parents, and they then offer feedback to the divorcing couple and their attorneys. They present their evaluations via case presentations and employ a limited amount of information gathering. Social Early Neutral Evaluation is an especially important component for parents whenever there are questions about one or both parents’ ability to fulfill the obligations associated with parenting time, child support, and other issues that affect children of divorce. The well-being of children is the most important component of divorce situations, so parents who are informed by a judge that they must go through the Social Early Neutral Evaluation process should choose a mediation service that they can count on. Social Early Neutral Evaluations are extremely complicated and have a significant impact on both parents as well as the children impacted by a divorce. The team at Johnson Mediation has extensive experience navigating this process and making informed recommendations that are fair, just and balanced so that resolution can be arrived at more easily. If you have questions about the early neutral evaluation process, or would like to partner with Johnson Mediation for divorce mediation or parenting support services, call us today at 952-401-7599 for assistance or to schedule a free consultation.